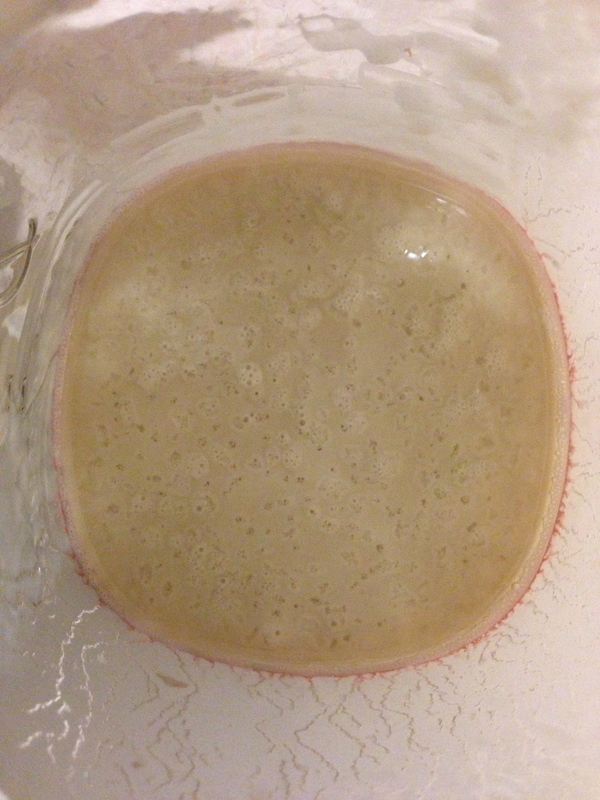 Day 8: (evening) After missing the morning feeding, the starter looked pretty sickly by the evening. It was very thin, with a layer of liquid (hooch) on the top. Stirred down the hooch and fed starter. (morning) Starter looks good again! But… skipped a feeding again. As I said, the Crafty Baby does take priority. We had another early morning appointment today, so I had to choose between feeding the baby or feeding the starter. Baby wins. Day 9: (evening) Starter looked much like it did last night, only thinner, almost watery. Stirred in hooch and fed starter. (morning) Starter looked good once again. There were some nice bubbles on top. Fed starter.